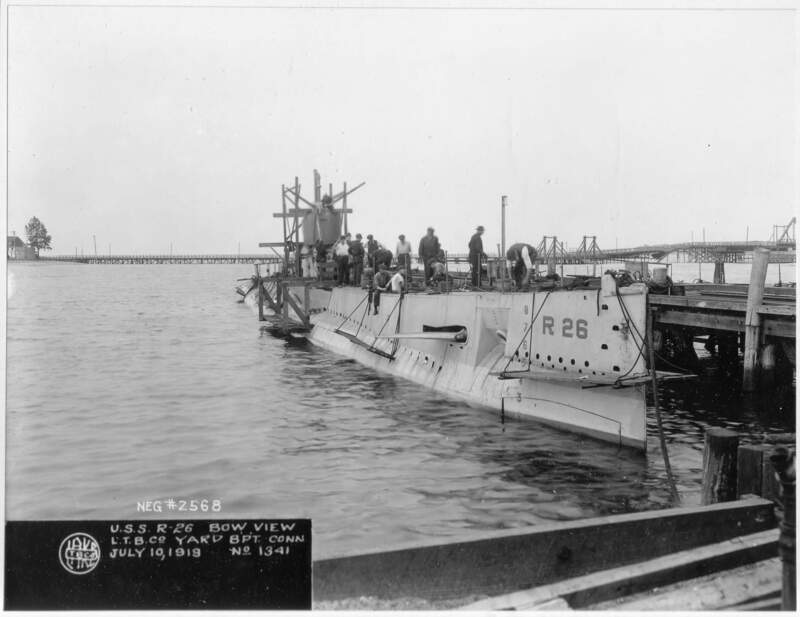 R-21 Class Submarine: Laid down, 26 April 1917, at Lake Torpedo Boat Co., Bridgeport, CT.; Launched, 18 June 1919; Commissioned, USS R-26, 23 October 1919; Redesignated USS R-26 (SS-103), 17 July 1920; Decommissioned, 12 June 1925, at Philadelphia Navy Yard, Philadelphia, PA.; Laid up in the Reserve Fleet at League Island, PA.; Struck from the Naval Register, 9 May 1930; Final Disposition, sold for scrapping, 30 July 1930. 386k R-26 (SS-103) bow view, a month after launching at the Lake Torpedo Boat Company Dock Yard, Bridgeport, CT. 10 July 1919. USN photo # 19-N-2568, from the National Archives and Records Administration (NARA), courtesy of Daniel Dunham. 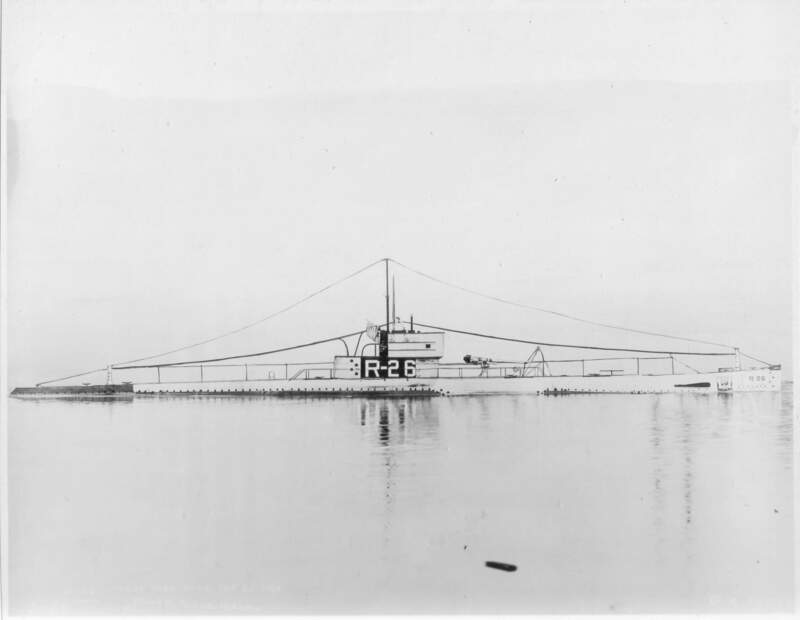 786k R-26 (SS-103) getting ready to submerge at the Philadelphia Navy Yard, 22, September 1923. Among the decommissioned ships nested to the right that are identifiable, is the San Francisco (C-5) (first from left) & the Solace (AH-2) (second on left) and four destroyers. 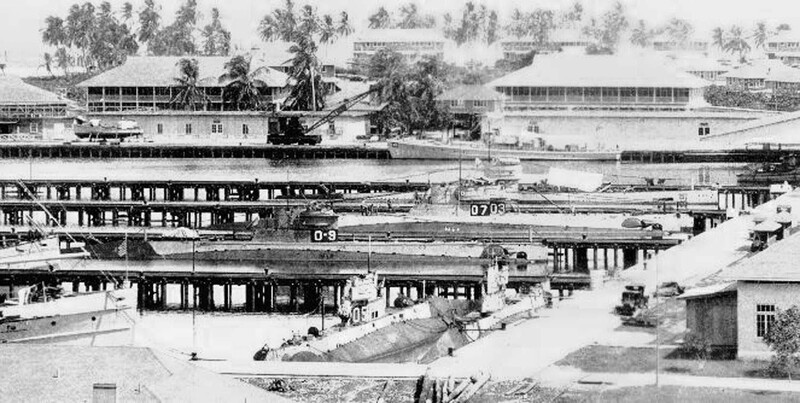 The destroyer second from right is Drayton (DD-23). USN photo # 19-N-10578 courtesy of Robert Hurst. 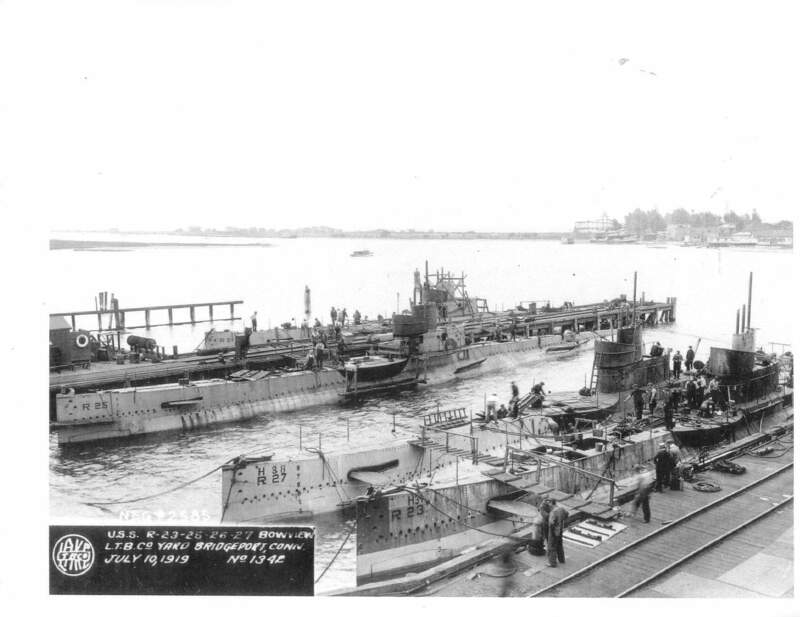 171k R-26 (SS-103) getting ready to submerge at the Philadelphia Navy Yard, 22, September 1923. 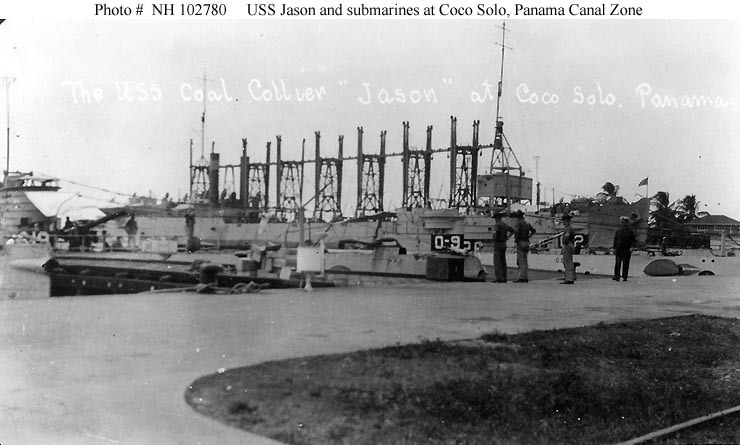 USN photo # 19-N-10578A, from the National Archives and Records Administration (NARA), courtesy of Daniel Dunham. 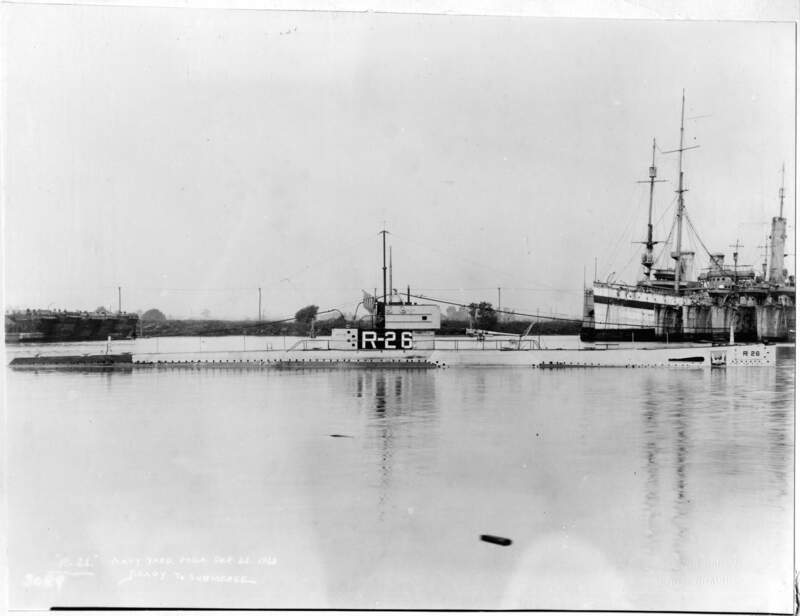 O-2 (SS-63). Courtesy of Chief Boatswain's Mate George Behrens, USN (Retired), 1974. USN photo NH 102780, courtesy of USNHC.